It’s the most wonderful time of year for a cozy brunch! 2016 got a bad rep for a slew of reasons, which we won’t get into now because 2017 is approaching and we couldn’t be more excited! Whether you’re staying in on NYE (we don’t blame you) or hitting the town, a hearty brunch on New Year’s Day is always a good idea. So keep reading and make those reservations now, because nobody likes to wait when they’re hungover. Join Chicago’s top DJs and an A-list crowd for a New Year’s Day party to remember. Dine on a Southern-inspired brunch menu created by Old Crow Chef, Tony Scruggs. Bonus, there are plenty of TVs to catch the bowl games! Reservations are highly recommended. New Year’s Day Brunch service starts at 11 a.m., 151 W. Kinzie St., Chicago, IL. The annual Mindy’s Hot Chocolate “Pajama Brunch” is not to be missed! 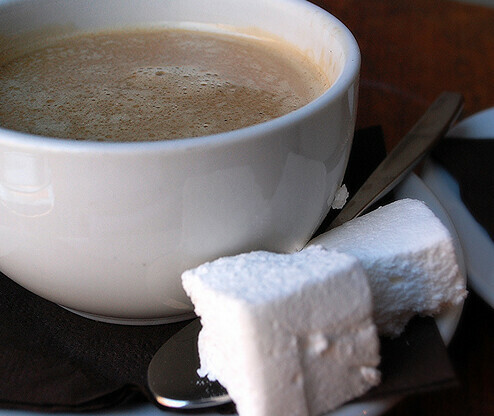 Cozy up in the cute Bucktown location and enjoy the famously rich hot chocolate alongside a farm-to-table brunch menu. New Year’s Day Brunch is served from 10 a.m. to 2 p.m., 1747 N. Damen Ave, Chicago, IL. Kick off 2017 with a group of friends over few lanes of bowling, and a huge buffet! 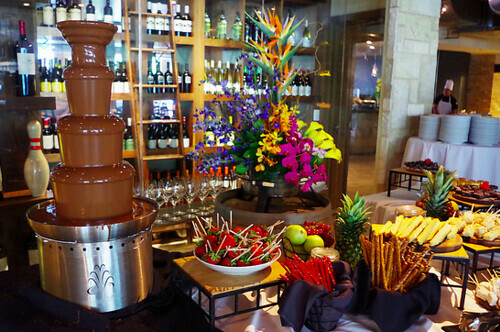 Head to Pinstripes for an amazingly decadent brunch buffet, and top it all off with a swoon-worthy chocolate fountain. Brunch is $34 per person and reservations are suggested. New Year’s Day Brunch is served from 9:30 a.m. to 3 p.m., 435 E. Illinois St, Chicago, IL. 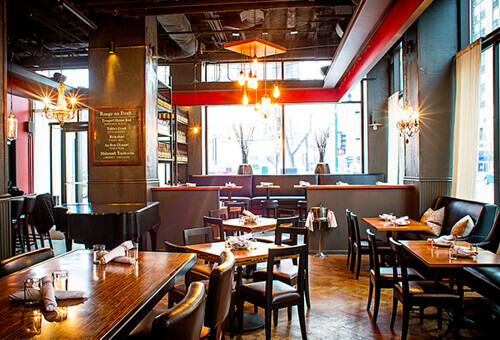 Head to the modern French restaurant in River North for a classy brunch date! The $25 per person deal includes choice of a brunch entree and 1.5 hours of unlimited mimosas, so you’ll certainly leave with a buzz. We suggest the salmon hash or buckwheat crepes! New Year’s Day Brunch is served from 10 a.m. to 3 p.m., 111 W. Huron, Chicago, IL. 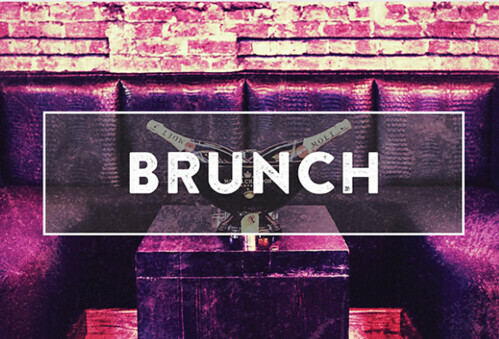 With locations all over the city, you don’t have an excuse to skip brunch at Kanela. 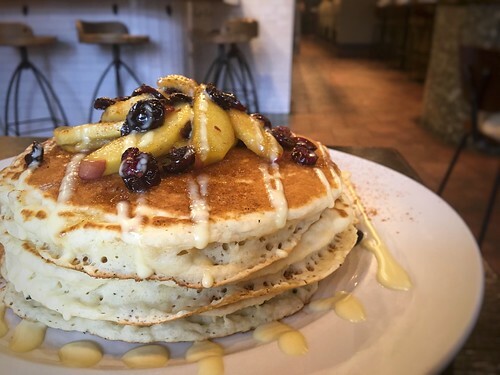 The brunch favorite will feature an eggnog pancake special, topped with apple cranberry compote and brandy creme anglaise for $14. The Wicker Park location will also offer a special hot chocolate French toast featuring Challah bread soaked in hot chocolate, stuffed with homemade marshmallow fluff, and topped with mini marshmallows and chocolate ganache. Delish! New Year’s Day Brunch is served from 10 a.m. to 3 p.m., 1408 N. Milwaukee Ave, Chicago, IL. (Kanela is also located in Lakeview, Streeterville and Old Town).